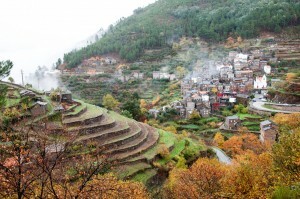 We recently took a trip around the Central Region of Portugal. The places we visited were charming. The people were kind. But the food, oh the food, that was the absolute highlight of it all! In a way, it’s all connected. The beautiful ingredients and preparations we got to taste are a direct product of those places and, because of craftsmanship and centuries of tradition, of the local people who keep working to make sure these foods stay relevant in the gastronomic panorama of my country. Serra da Estrela cheese is, quite probably, the most famous cheese in Portugal. 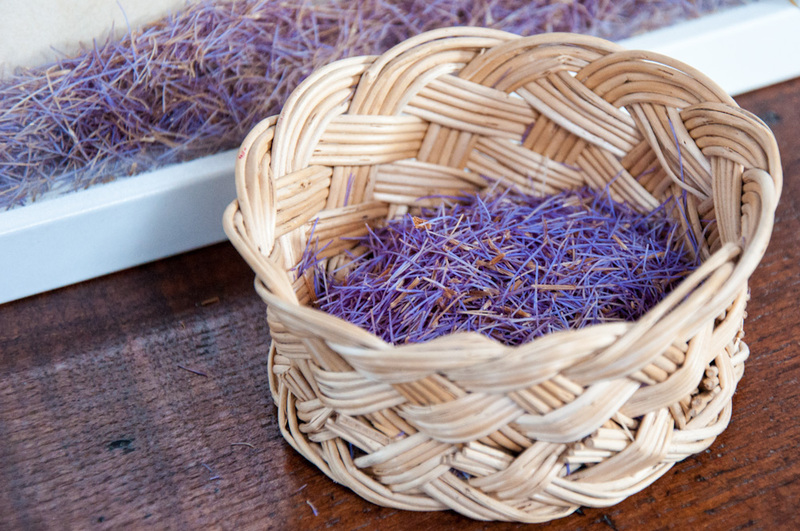 Made from sheep’s milk, these pungent Portuguese cheese is adored all over the country. 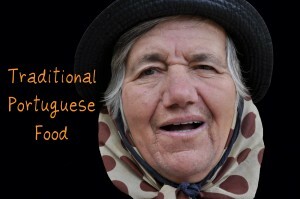 When you visit a supermarket or cheese shop, you may find queijo da serra of different prices. But beware! Not all of those cheeses are in fact from Serra da Estrela. They may be “tipo Serra”, that is, “Serra type”. And that’s not exactly the same. Serra da Estrela cheese has been granted PDO (protected designation of origin) by the European Union. 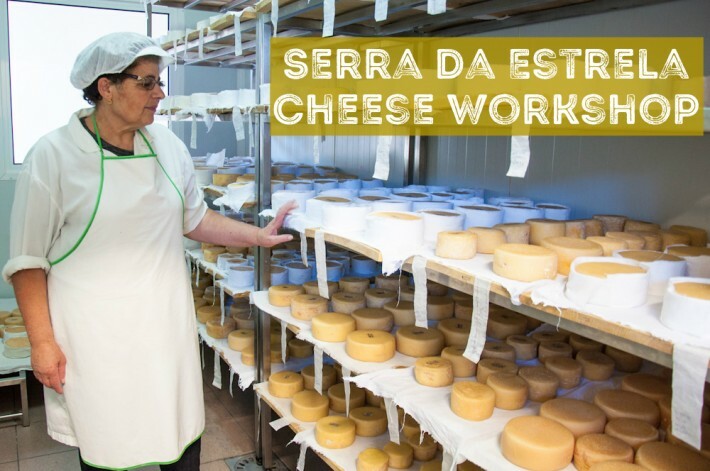 For a Serra da Estrela cheese to be considered legit, only 3 ingredients can be involved in the cheesemaking process. The first and most important is raw sheep milk from the bordaleira breed, that is originally from this region. 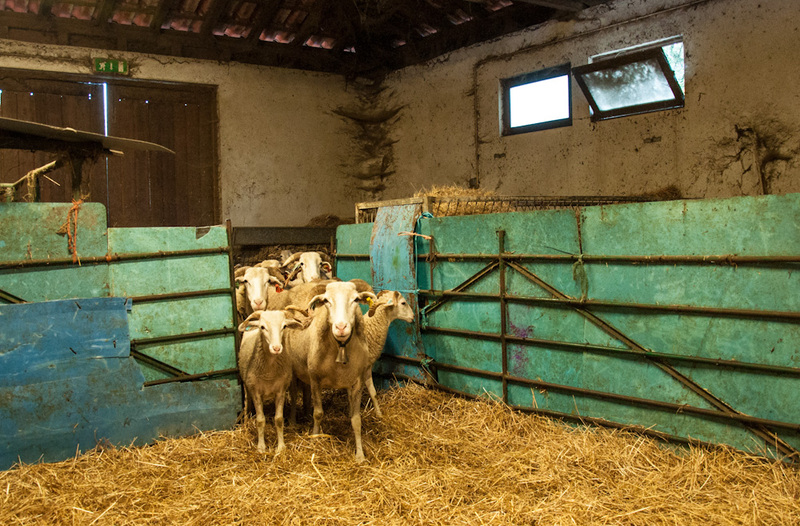 Bordaleira sheep produce milk which is very high in fat content, giving the cheese the strong flavor that it is well known for. To curdle the milk, only thistle flowers are to be used. For flavor enhancement, sea salt is also added. About 14 grams of salt per liter of milk is customary. Sheep are milked twice a day, and a healthy creature will give you about 800ml of milk each time. Once you have a total of 5 liters of milk, you can make a cheese of 1 Kg. 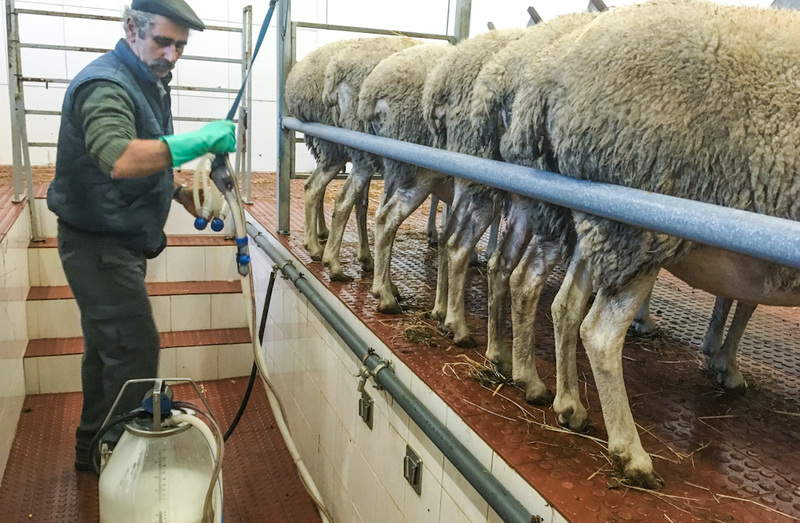 There is a lot of work involved, both from the sheep and from the humans taking charge of the situation, from the milking to the cheesemaking process. No wonder a kilo of Serra da Estrela cheese will go for at least 20 euros. It makes sense, as this is a very manual process, thankfully still not done on a massive scale. 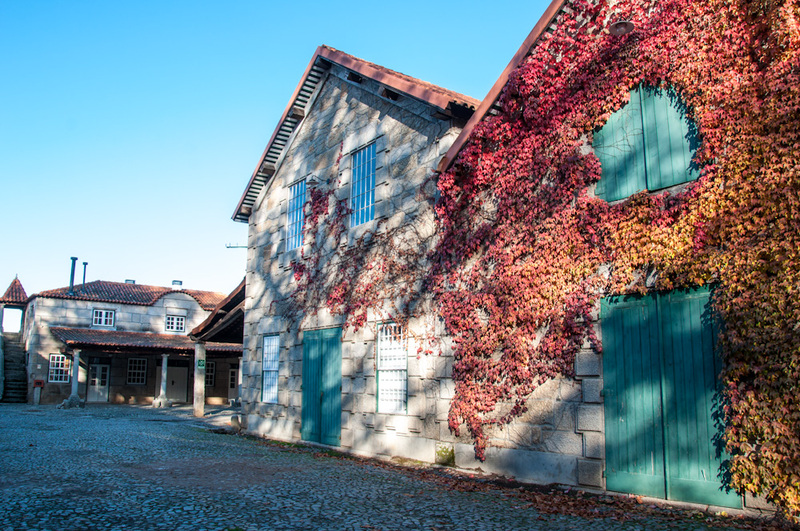 In Penalva do Castelo, I had the chance to join a Serra da Estrela cheesemaking workshop. 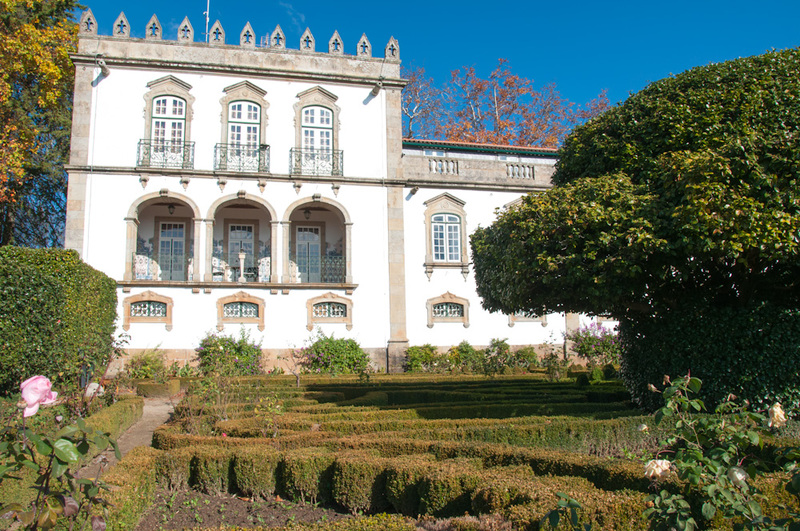 Casa da Ínsua Hotel has an incredible property around its hotel, where they grow food to be served in their own restaurant and to sell too. During this workshop, we were given the opportunity to do everything from scratch. 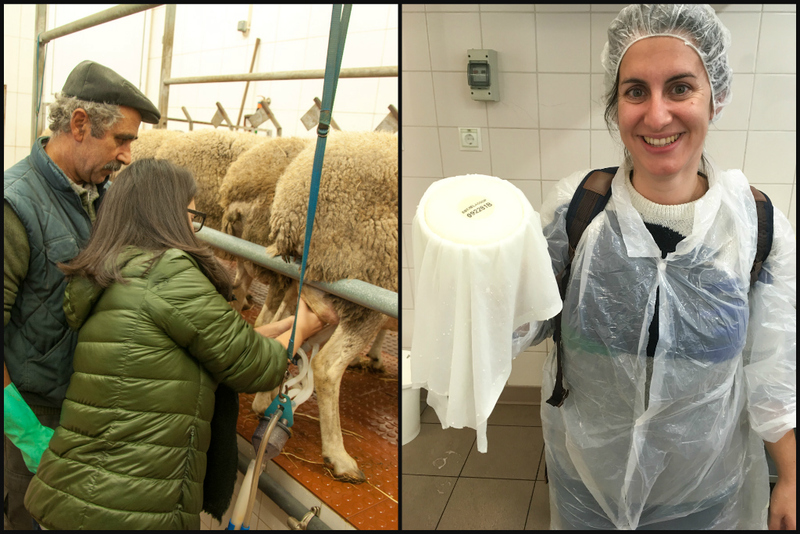 That included milking the sheep at 6AM, and getting our hands “dirty” making wheels of cheese. 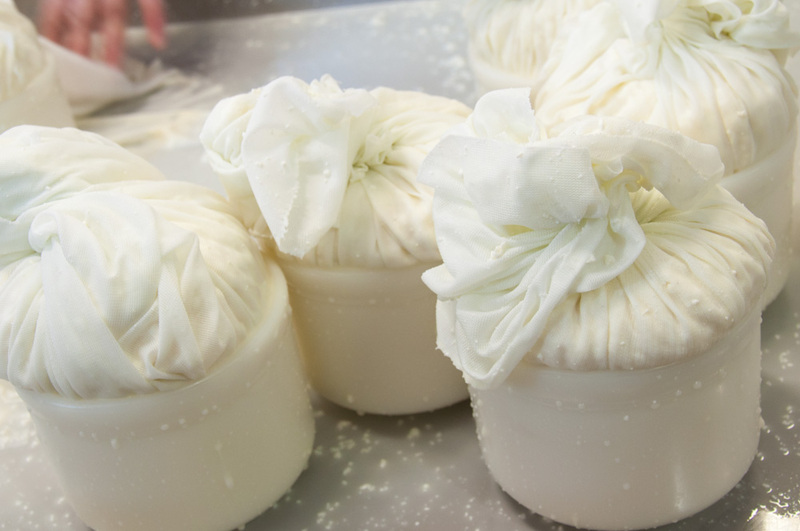 During this hands-on class, you get to squeeze the curdled milk and shape it inside plastic molds that will dictate the appearance of the cheese. Before the molds hit the cheese cave, they are placed in a press that will squeeze the preparation even further for 20 minutes, ensuring the water content is released and only the creamier stuff gets left behind. 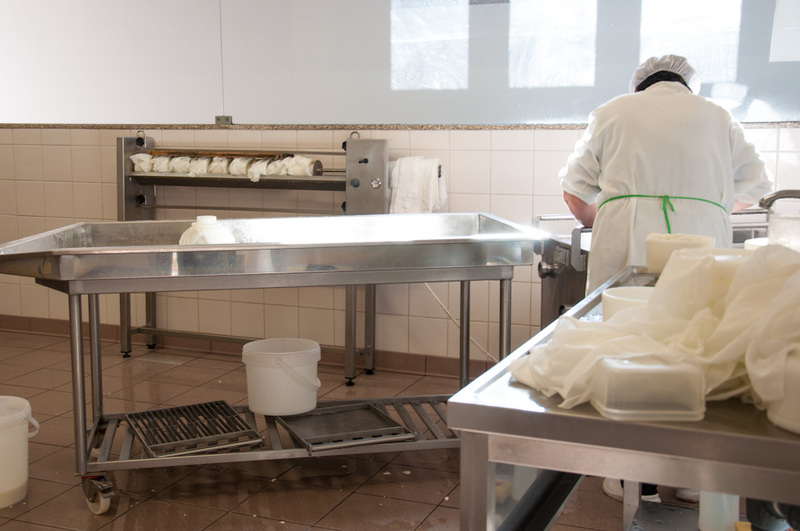 After the workshop, the cheese stayed at Casa da Ínsua’s curing chamber. During an initial stage, the Serra da Estrela cheese went through the fermentation process, in a room at between 6°C to 8°C, and 90 to 95% humidity. Afterward, for its correct curing and aging, my beloved wheel of milky goodness was put in a different room with a lower humidity between 80 and 85%, and a higher temperature of 12°C to 13°C. 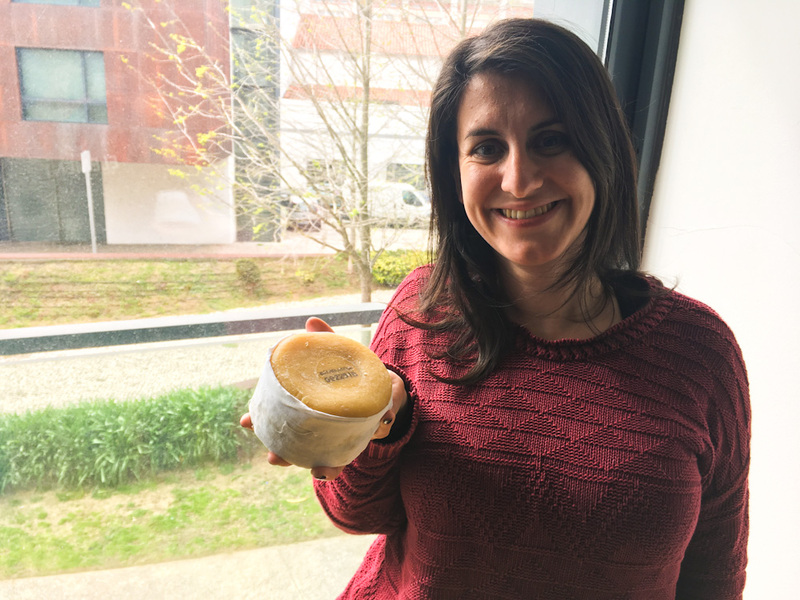 After a couple of months, me and my Serra da Estrela cheese unite again! This kind of workshop gives you a renewed appreciation for the things you eat on a daily basis. Once you see all the hours, effort and resources that go into making a piece of cheese, you can rest assured that it will taste better. 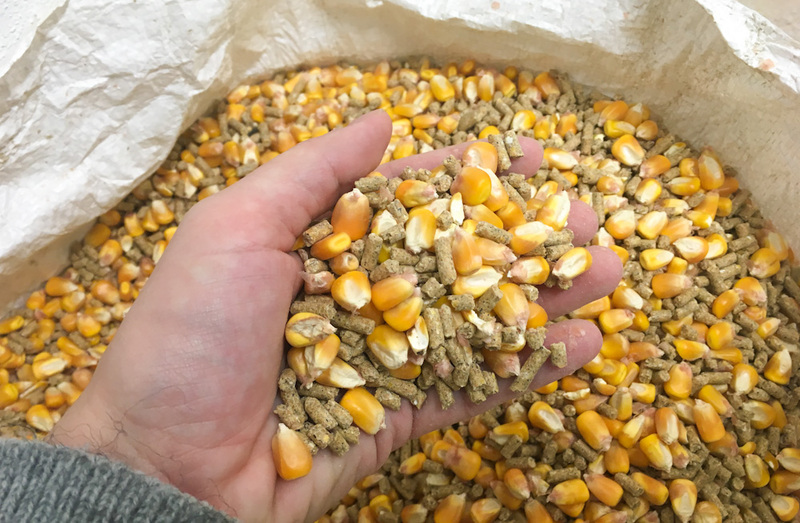 Being there with the animals also make you value and respect how they contribute to putting gloriously nutritious food on our plates. 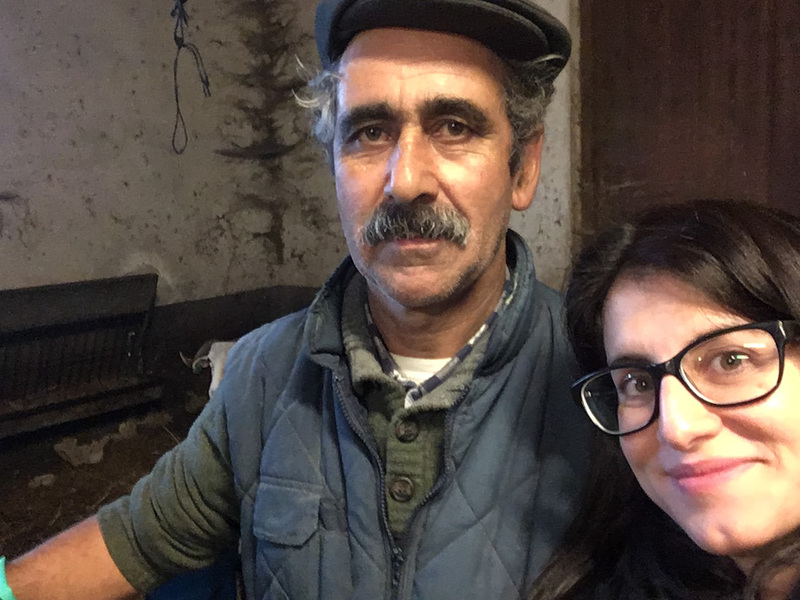 If you’d like to try your hand at Serra da Estrela cheesemaking, book a workshop with Casa da Ínsua or contact Simplyb so that they can organize this and other activities in the region for you. If you’re curious about other foodie delights in the Central Region of Portugal, check out more photos from our trip in the region! 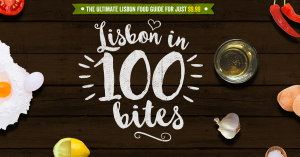 Ultimate Lisbon Food Guide - the 2nd edition is out now! Once we were in Portugal, i imagine myself there every time. It was my very first trip, from that time I like to travel and find waves that I have never been to. Appreciate the article, estrela cheese looks yummy! It makes me so happy to read that, Eva! Yes! I think it’s very true that people get very attached to what they do for a living, especially in smaller towns. It was such a pleasure to see the cheese ladies doing their work. They would do it happily, and with expertise. The way they handled the cheese would show a certain “respect” to the product itself if you know what I mean.. I saw such cheese sold in continent. They dont need plastic cover? Can we eat the outside, RIND? or throw it? What do mostly do?